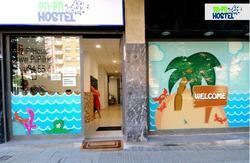 Bilbao Akelarre Hostel was the first private hostel in Bilbao since 2009 so we have a lot of experience. We offer a total of 38 beds in a small and cosy hostel to feel like home. 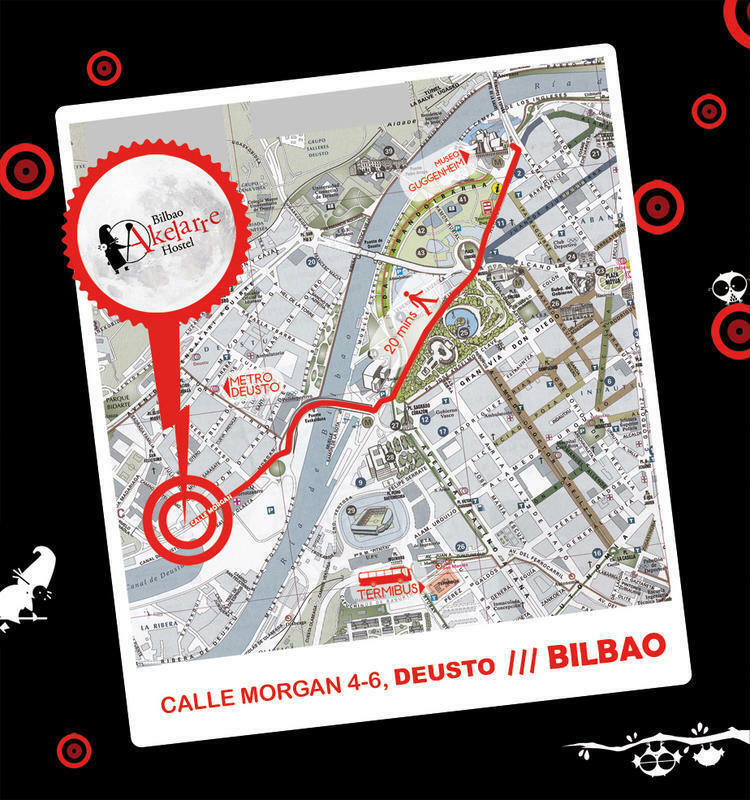 Bilbao is a small city so you can walk everywhere! From Bilbao Airport: you will find a marquee just outside the airport on the right, from where a bus leaves to the center. You have to get off at the stop bus station in Bilbao. From there take the metro in the direction of Santurtzi or Plentzia and get off at the next stop which is: DEUSTO. IRUA exit, walk down along the bicycle path until you reach the T crossing. Turn right and walk straight on for about ten minutes until you find us at the last building on the right-hand side (Morgan Street, 4-6). Our hostel has a cool design in the wall (red and black). In the same street, It is the new private hospital in Bilbao. From the metro: take the metro in the direction of Santurtzi or Plentzia and get off at the next stop which is: DEUSTO. IRUA exit, walk down along the bicycle path until you reach the T crossing. Turn right and walk straight on for about ten minutes until you find us at the last building on the right-hand side (Morgan Street, 4-6). Our hostel has a cool design in the wall (red and black). In the same street, It is the new private hospital in Bilbao. From the train station: Take the metro in the direction of Santurtzi or Plentzia and get off at the next stop which is: DEUSTO. IRUA exit, walk down along the bicycle path until you reach the T crossing. Turn right and walk straight on for about ten minutes until you find us at the last building on the right-hand side (Morgan Street, 4-6). Our hostel has a cool design in the wall (red and black). In the same street, It is the new private hospital in Bilbao.